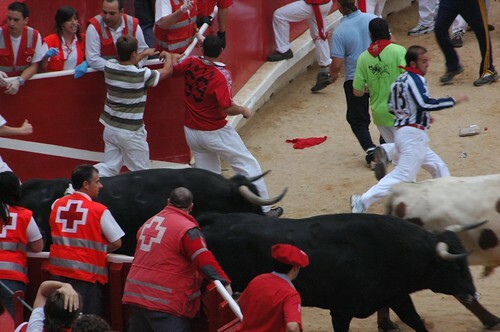 Anyone who gets gored while participating deserves it, completely. See any trampled tourists at Mercaderes? 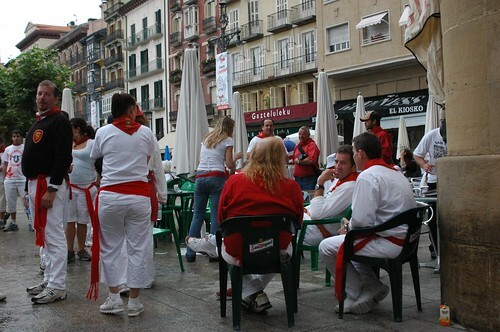 We saw a couple of people get under a bull. 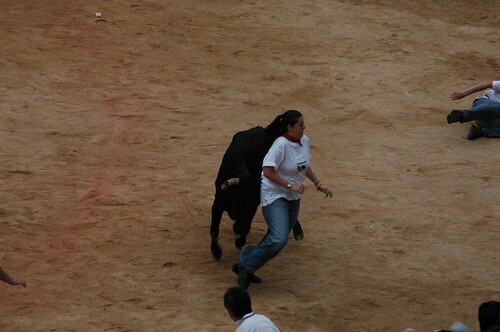 The most interesting thing was in the arena where some guy was wrestling with one of the bulls (it was a baby). Some people took offense to it and started a bit of a fight.